Testing is a great thing, but it’s also important to know when and how to pick a winner and reap the benefits of your hard work. Choose strategic moments to remove your worse performing ads and apply the lessons that you’ve learned. There are times, such as the holiday shopping season when user search interest reaches its peak, when it’s in your best interest to run with your best performing creative. Even with the small differences in the example, there is a tangible benefit to reallocating your impressions to the absolute best creative. Imagine what could happen if all of those impressions in your account (where the differences in CPC, CTR and conversion rate might be much bigger than this example) are going to the best possible creative. There are a number of different processes that you can follow (depending on your rotation settings) to get your best ads to show for those valuable holiday impressions. If your campaign is using auto-optimization, we’ll automatically bias impressions toward the ads that are statistically likely to perform better. While poorly performing ads are already being shown infrequently, it might also be time to cut out the fat. Starting with your highest volume ad groups, identify the worst performing ads and delete them. You’ll be able to spot them quickly based on relatively poor performance and low impressions compared to the top performers in their ad group. If your ads are set to rotate evenly (or indefinitely), start with high volume ad groups where ads have had enough impressions with which you can confidently make a decision. When manually optimizing, you’ll have to decide which metric is most important to you. Consider creating your own metrics, such as conversions/thousand impressions or revenue/thousand impressions. As your tests are concluded, don’t restart them during your heavy season. Let your top ads shine throughout your peak season, but keep track of ad groups that are no longer testing (via labels) so that you can easily restart your tests once things settle down. Make sure to look at your mobile-preferred ads separately from your desktop ads, as these will likely perform differently than their desktop counterparts. It's possible that certain keywords within an ad group perform best with ads other than the top performer. This might happen in an ad group comprised of disparately themed keywords (check your new-and-improved opportunities tab for places this may be happening in your account). You can see the performance of each ad against each keyword by segmenting your ad report by keyword. One solution might be to separate such keywords into their own ad group, so they can serve against the ad with which they perform the best. What if your ad tests don’t have enough data? Directional: Pick the ad that is in the lead at this moment. It couldn’t pass through any peer-reviewed scientific journals, but you’re still basing your decision on recent performance. Referential: Look for trends in messaging within your high volume ad groups. If it’s the same basic test across both ad groups (i.e. 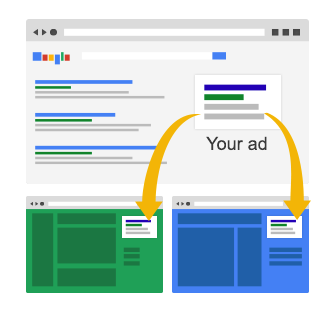 one main benefit against another), you can reasonably infer that the ads will perform similarly. Ensure that whatever significant tests you refer to are similar enough to make sense. You wouldn’t want your successful messaging about shoes to decide how you’ll sell vacation plans. Boots, however, could potentially apply the lessons from shoe ads. Indeterminate: Continue to wait until your tests get more information, possibly enabling auto-optimization for your ads. Not acting is a defensible decision, but it won’t improve your performance immediately. Low volume ad groups are almost always going to continue being low volume, so the sooner you get comfortable making decisions with limited information on those ad groups, the sooner you could start to see performance improve. Whichever route you decide to take, you should still end up with two ads in each of your ad groups - one for desktop and one for mobile-preferred. If you’re merely pausing your ads (since you don’t have enough traffic yet), make sure that you’re labelling them intelligently and clearly so that tests can be resumed once the time is right. Ending tests doesn’t mean you’re against testing. Testing is a great thing that leads to a healthy account and a well-informed, data-driven advertiser. Ending a test is a little like pushing your car into the red - you do it when you need to, but if you do it all the time you’re going to eventually stall out. This holiday season, treat your account right by cleaning out your low performing ad copy. Then, when things slow down and you have a nice, clean account to work with, you can restart your testing with something new from our Creatives That Clicks whitepaper. – a platform for the digital marketing community that helps businesses and agencies grow and thrive together. The holiday season is about giving. And, of course, buying. You know this, and your holiday paid search plan is almost definitely in place by now - but is there anything that could have slipped through the cracks? We want to help you get every drop of retail goodness out of the busy weeks ahead, so we put together this checklist to ensure that your plan accounts for everything it should. Does your plan account for all of those little things that may get overlooked? Regardless of what your account and account team looks like, it’s never a bad idea to double check that the pieces to your master plan are all in place. With every day during the holiday season being critically important, decisions can get magnified. So make the right decisions and amplify your success. Download the Essential Paid Search Holiday Checklist today. Your team (and your account) can thank you once things settle down after the Last Day to Ship Before Christmas has come and gone. planning to use the internet to help with holiday shopping this year, our elves have been hard at work improving Google Shopping to help them discover your products and connect with your store. It’s easier than ever for users to browse and hone in on items they want to buy like cameras, ski jackets, and ice cream makers. They can quickly preview details like sizes, colors, description, and even if it’s available at a nearby local store. “Visually similar” results give shoppers suggestions if they’ve found something that’s almost perfect but not quite. Make sure your products shine by following our holiday tips. Shortlists help people keep track of products that catch their eye, compare them at a glance, and share ideas with friends and family. Shortlists now also stay at the top of the page while someone is browsing Google Shopping, so she can cross off items on her shopping list as she goes. When people add products to their shortlists, photos, price and detailed information are automatically saved, too -- so make sure your product feed is up-to-date and has all the necessary information that makes it easy for them to choose your store when they’re ready to buy. Sometimes it’s hard to imagine what an item actually looks like from the online picture. 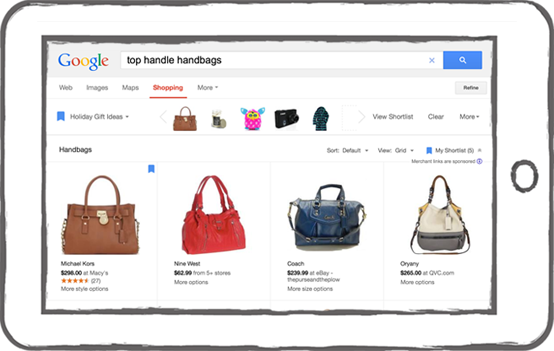 Now, for many items on Google Shopping, users can see a 360° view of the products. These interactive images bring users the in-store feeling of holding and touching a product. If you’re manufacturer or brand interested in displaying these rich images of your products on Google Shopping, please fill out this form. We will continue to improve Google Shopping to help retailers of all sizes reach more customers not just during the holiday season, but all year long. With 89% of consumers planning to use the internet to help with holiday shopping this year, our elves have been hard at work improving Google Shopping to help them discover your products and connect with your store.
. It has also seen mobile contributing more to conversions that occur on other devices. Visit our new multi-screen home for resources and partners to help optimize your site for multiple screens. It's rich with web developer resources like the PageSpeed tool that analyzes your web site to provide code-level feedback on how to improve load times for a better mobile experience. You'll find more information on how to make sure your website is well indexed and mobile-friendly in our Google Developers site for webmasters. For best practices and inspiring examples of winning mobile marketing strategies, please check out our recently updated Mobile Playbook. We're squarely in a multi-screen world and people are using smartphones to search, shop and get things done more often than ever. That means delivering a great experience on mobile devices is increasingly important, since it affects organic visibility, Quality Score, ad position and cost, sales, and customer loyalty. Recent research conducted with Nielsen shows that 48% of mobile consumers start their purchase journey with paid and organic search results. With mobile ads, the quality of your mobile landing page experience directly affects how your ad ranks (including whether it's seen at all) and what you'll pay per click. Mobile site experience factors can also directly affect your organic search rankings. Getting more mobile traffic and lower CPCs is great. But after the click, your mobile landing page experience is even more important for converting visits into sales and building customer loyalty. According to 2012 research on what users want most from mobile sites, 67% of consumers say that a mobile friendly site makes them more likely to buy, and 74% say they're more likely to return to that site in the future. The experience of ProFlowers, a major US-based fresh flower retailer, confirms the benefits of offering a great experience on smaller screens. After launching its mobile-optimized site, Proflowers saw its conversion rate increase by 20-30%. It has also seen mobile contributing more to conversions that occur on other devices. We've added several new opportunity types for more ways to improve your performance. A totally new design makes it easier to decide which opportunities to implement. For each opportunity, you'll see a short summary under "What you can do” and the possible impact under “What you might get each week.” The opportunities you’ll see are tailored to your account and selected based on their possible impact to your performance. Check the Opportunities tab often. Whether you optimize your campaign once a day or once a month, it's constantly working in the background to spot opportunities for you to improve. And we’ll be adding even more opportunity types over time. 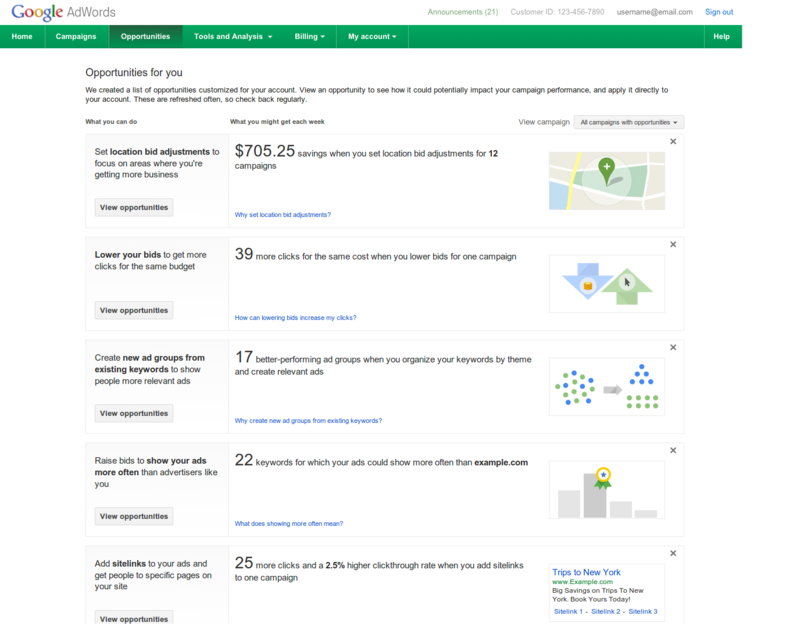 To learn more about the Opportunities tab, please visit our AdWords Help Center. shows that 70% of mobile searchers have called a business directly from search results and that over 40 million calls from Google ads are made each month to advertisers around the world. It’s clear that calls are important to businesses -- and we want to help you measure them in AdWords. We announced on October 1st that phone calls would soon be added as an important conversion type as part of AdWords. Starting today, phone calls from mobile click-to-call ads will be added to the regular Conversion columns, which enable them to be used with automated bidding solutions like Conversion Optimizer. These mobile call conversions are available in countries where Google forwarding numbers are available.1 In addition, calls made by customers from your mobile and desktop ads will be counted in your “Estimated Total Conversions,” a new column you can use to measure the full value you're getting from AdWords. Calls as conversions are counted based on the aggregate number of calls generated by your ads and the duration of the phone calls. This is the same type of reporting that we have been providing on calls for several years. Businesses using AdWords have found that adding phone numbers to their ads is an important way to connect with customers and drive incremental sales. Learn more. ”Since we have implemented call extensions, we have seen nearly 30% of our total conversions come from phone calls. We want our customers to connect with us in the way they prefer. Call extensions and call conversions give us that ability and allow us to measure results at the same time." Previously, calls were counted in their own column called “Phone Call Conversions.” Now, call conversions from mobile ads are counted in the regular Conversion columns, so you can use free automated bidding tools like Target CPA to improve performance and save time. Online ads can help drive conversions beyond a purchase made directly on your website. Adding calls to the Estimated Total Conversions column gives you a more holistic view of how your keywords drive those conversions, so you can set bids and budgets that more fully reflect the value you're getting from AdWords. For a more in-depth product walkthrough of Estimated Total Conversions, calls as conversions, and a review of best practices, join us for a webinar tomorrow, November 13th at 10am PT. You can sign up here. Recent research shows that 70% of mobile searchers have called a business directly from search results and that over 40 million calls from Google ads are made each month to advertisers around the world. 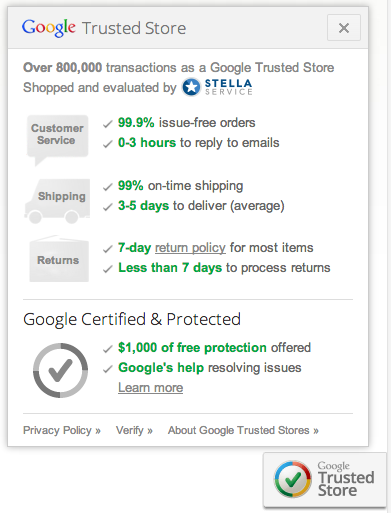 It’s clear that calls are important to businesses -- and we want to help you measure them in AdWords. We like to think of advertisements as a conversation between you and your customers. Whether they’re customers you currently have or customers you’re soon to get, the interaction you have with them on the Google search engine results page is brief but important. Is there really a benefit to including a keyword in your headline? Just how big of a lift in CTR can you expect from using ad extensions? Are you wasting a big opportunity with your display URLs? Does capitalization have an impact on clickthrough rate? How can you better identify those places in dire need of a new set of ads? We think that ad copy optimization is important, so this will be the first in a series of content about how you can have a better conversation with your potential customers. It’ll include even deeper dives into improving your ads, starting with advanced reporting tactics like finding keywords that need new ad groups and determining how many ads to include in your testing. Extensions are becoming invaluable to your ads, and you should also know how to test and optimize them. We’re even hosting a webinar on Wednesday, December 11th to touch on the points in this guide and address any questions you may have. This is the first part of an entirely new track of content that we’ll be putting out on the AdWords blog. Over the coming months we’ll dive into topics across all of the major SEM levers - account structure, ad optimization, keywords, bids, budgets, conversions and reporting. We’ll also share timely pieces such as additional advice on holiday planning and how to optimize newly released product features. All of this content will be focused on helping you and your AdWords accounts reach their full potential. Search Network with Display Select extends the reach of your search campaigns to the Google Display Network (GDN). The GDN reaches 90% of the global online audience (Comscore September 2013) and includes 2 million publisher sites, like weather.com. 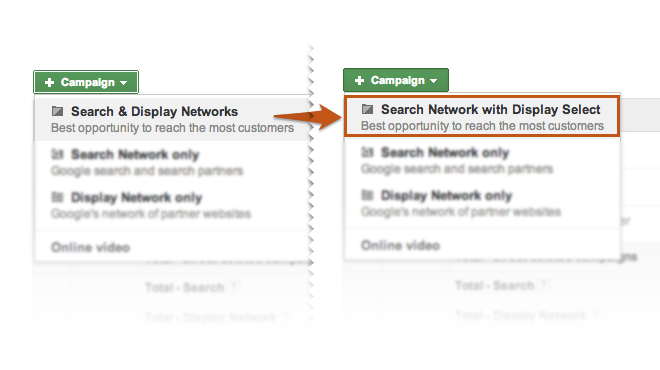 Upgrading existing search campaigns to Search Network with Display Select is easy. In a few steps and without extra work, you could gain 15% more customers* by showing your ads at the right moments across search and the web. How is this different from the old campaign type? In addition to extending the reach of search campaigns, this new campaign type offers better results on the display network than the old Search & Display Networks campaign type. If you’re running Search Network only campaigns, consider trying this new campaign type for additional high quality traffic with no extra management required. When you enable Search Networks with Display Select, your search ads will be eligible to appear on both Google and pages with relevant keywords across the web. The majority of your campaign will still run on search, with a boost of high-performing placements in display. If you currently run Search and Display campaigns separately, we recommend you keep them separate for greater bidding, budgeting and targeting flexibility. Search Network with Display Select is now the best option for advertisers running ads across search and display within a single campaign. So starting today and over the next few weeks, we'll be removing the current Search & Display Networks campaign type in the AdWords interface, and we're encouraging advertisers to switch existing campaigns to Search Network with Display Select. We've created a quick workflow in the AdWords interface that makes switching easy. 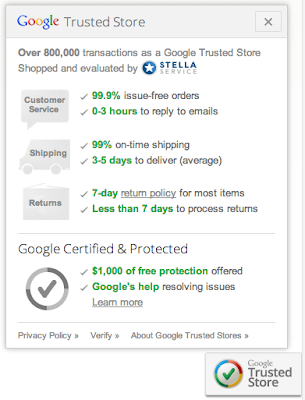 Step-by-step instructions are also available in the AdWords Help Center. Please visit here to learn more. *Based on initial test results, the average customer could see a 35% higher click-thru-rate and 35% lower CPA on the display portion of their new Search Networks with Display Select campaigns compared to existing Search & Display Networks campaigns. Based on initial test results, the average customer could also see 10-15% incremental conversions compared with Search Network only campaigns. Individual campaign performance may vary. People are always looking to connect with useful information in the moments that matter - whether searching on keywords related to a product or reading highly relevant content on websites beyond search. Starting today we’re offering a new way for advertisers to reach people as they visit Google and sites across the web: Search Network with Display Select.